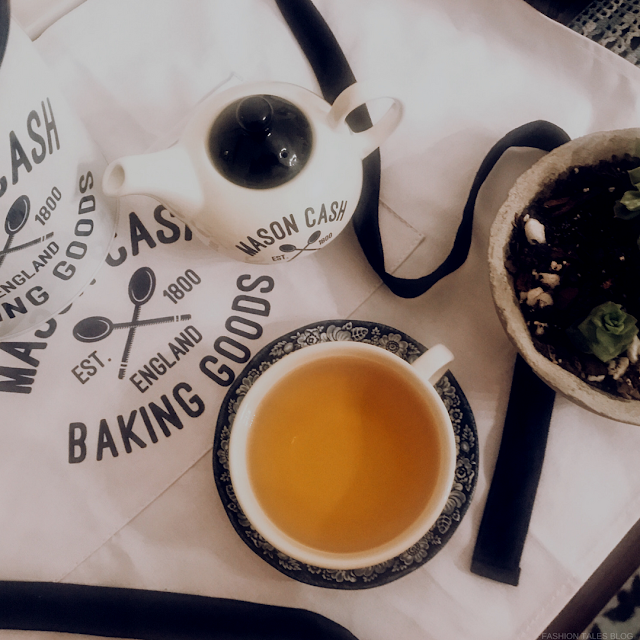 This Spotlight Series is focussed on British kitchenware brand, Mason Cash. If you know your way around the kitchen then perhaps their products are old favourites for you. 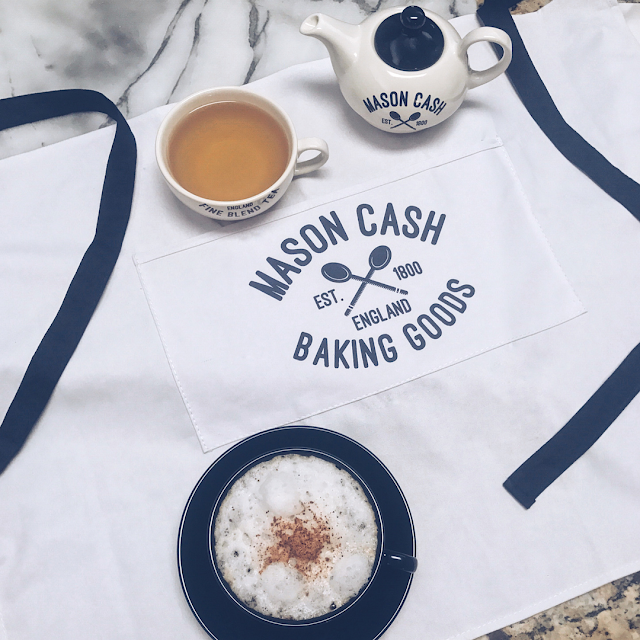 Don't fret though, you're forgiven if you aren't yet seasoned with the iconic brand—there's still time to be schooled and have your kitchen properly stocked with [Mason] Cash quality. 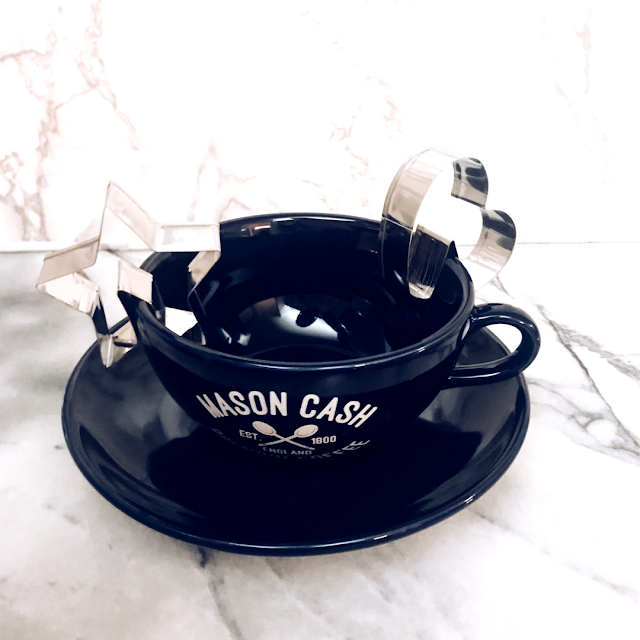 Mason Cash has been producing ceramic kitchenware since the 1800's with purposeful functionality and innovation at its core. 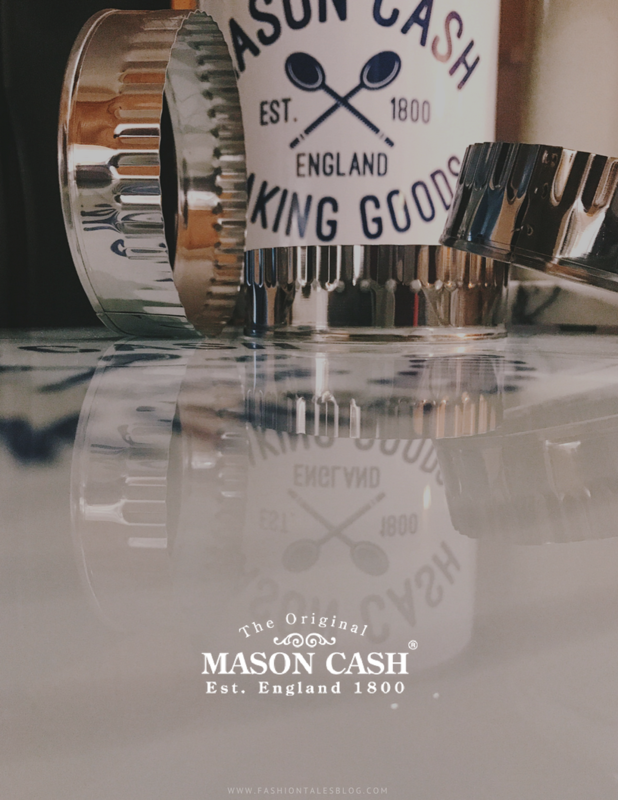 The acclaimed brand is a household name within the UK, and especially known for their original mixing bowls. 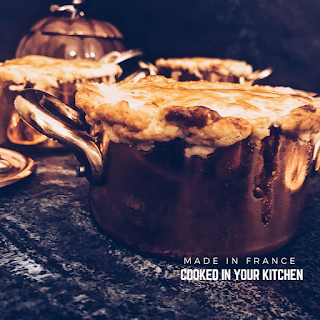 One thing that this cookware does is evoke memories of many inviting kitchens that I've spent time in, namely helping my grandmother in the countryside as a child or moments whilst watching my mum bake in her open farmhouse kitchen. 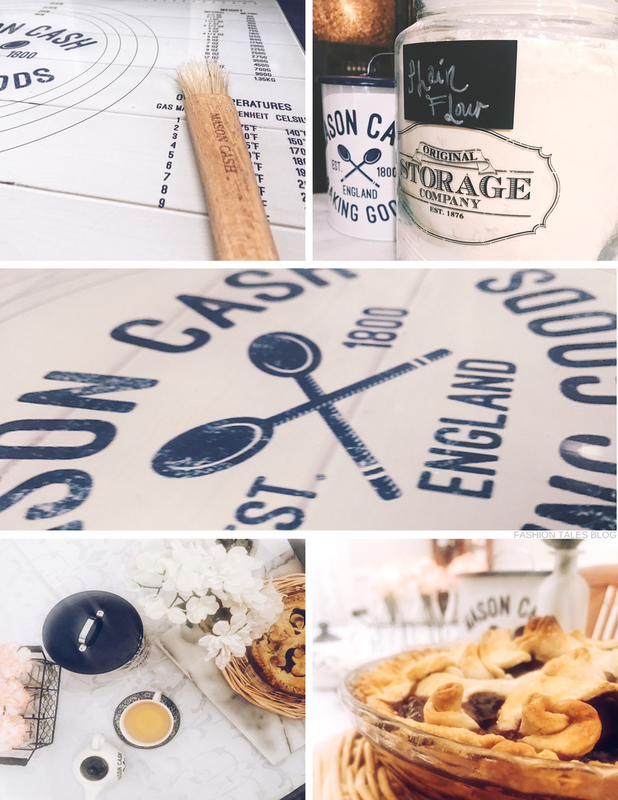 Whether you're a burgeoning baker or seasoned cook, Mason Cash has options in abundance to suit your colourful desires and kitchen cookery needs. You'll find collections, such as the Hacienda range, which blends retro colours of the 60s with kitchen prep items and ovenware. 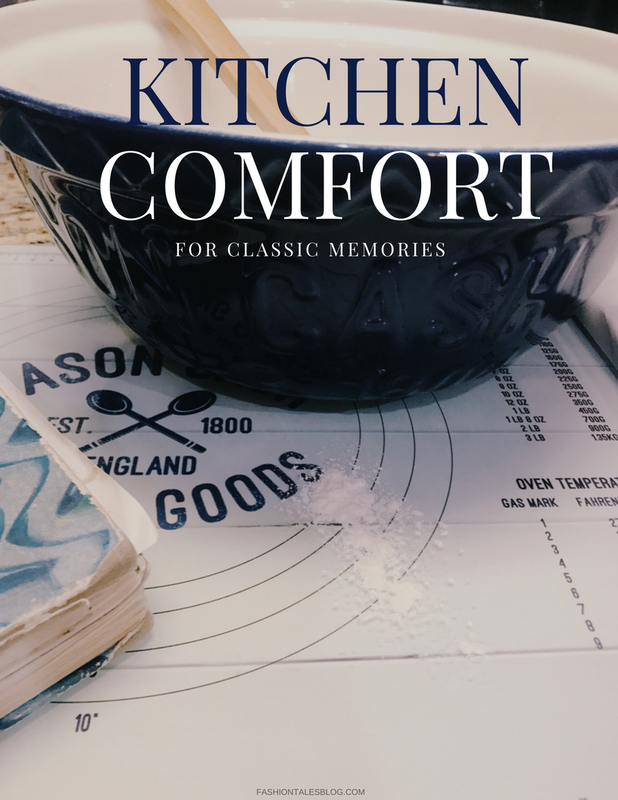 Other offerings include modern blends of their mixing bowls and classic kitchen bakeware with colourful ranges that are perfectly suitable for any baking enthusiast, or basically any stylish foodie who loves to cook and entertain. 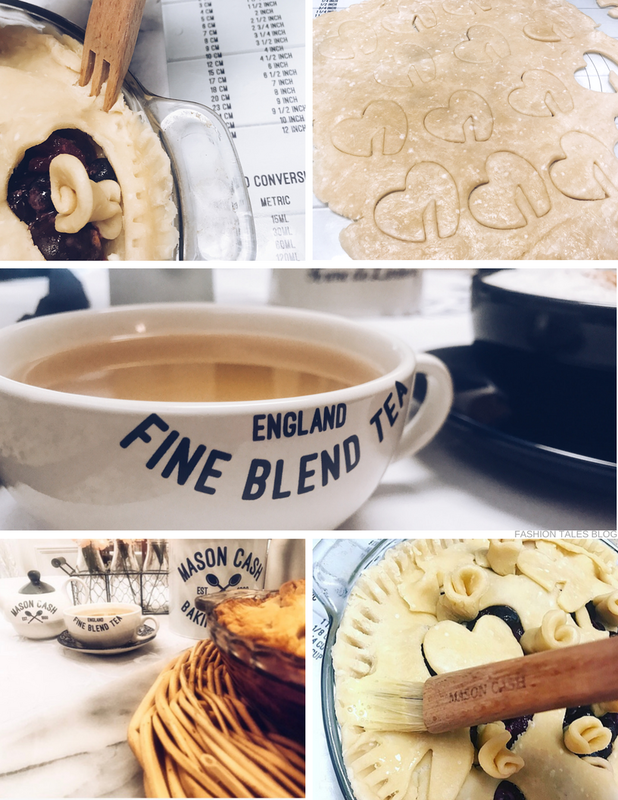 Here, I've integrated vintage and contemporary kitchen styling elements and tested out everything from the ceramic teapot and cappuccino set to the glazed mixing bowl (which I highly recommend). 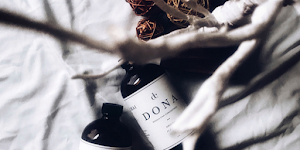 This collection combines aged elements with refinement. 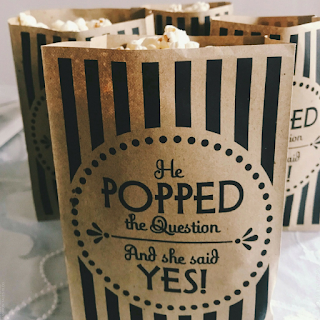 We've put these products to the test and they definitely did not disappoint. 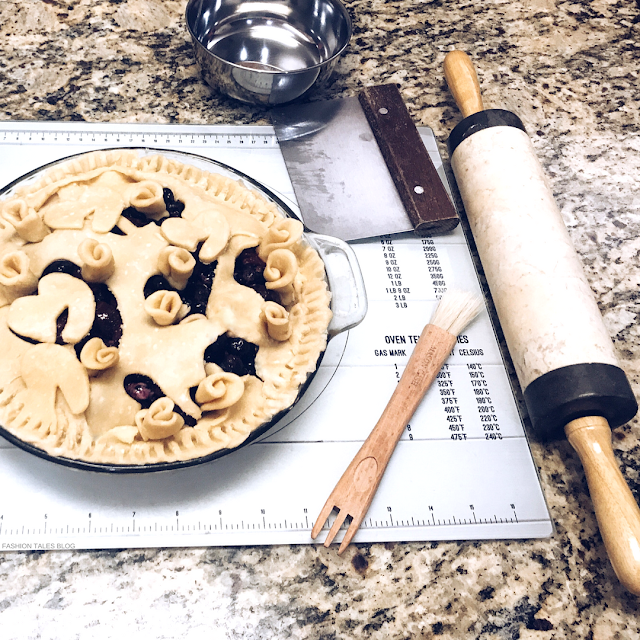 The large mixing bowl will hold all of your wet or dry ingredients with ample room for blending. 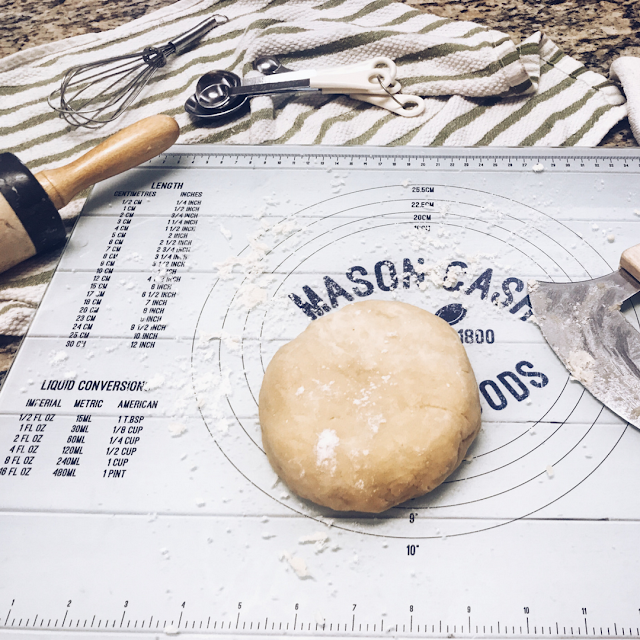 And, for those needing referential measurements, you will be happy to know that the pastry board comes with both metric and imperial conversions printed on the tempered glass. 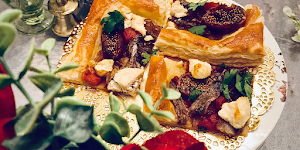 We've had a great batch of beetroot this season, so I decided to use that and make some vegetable and feta pasties, in addition to homemade mixed berry puddings and pies with a succulent flaky double crust. 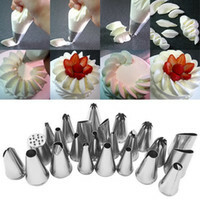 The innovative pastry brush is an all-in-one tool, it has versatile uses be it for basting, whisking, or pie crimping. 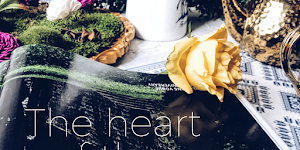 If you are fond of nature, the In The Forest line will strike your fancy as it's influenced by 19th Century folk tales and embossed with forest scenes. The Varsity collection that I am featuring here takes inspiration from old English University towns. It's an earthenware range that marries practicality with style. Displayed in navy and cream colour, it is chip-resistant and will store very well in any size kitchen. 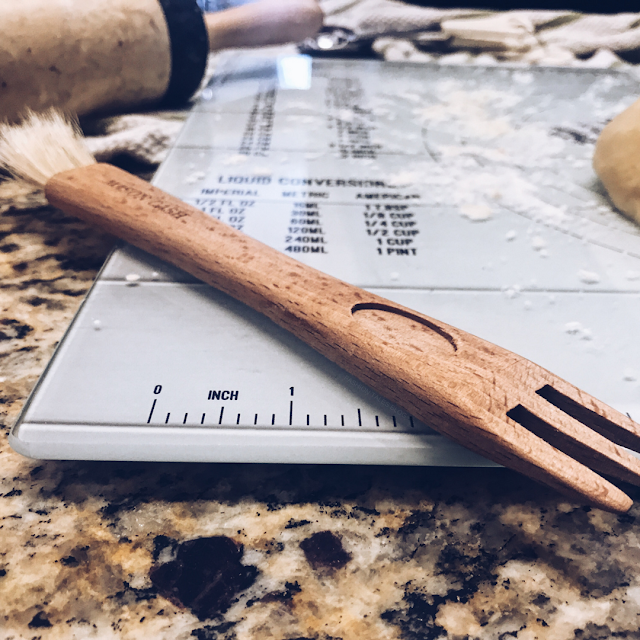 With centuries of experience creating premium goods, the company has triumphed with the challenge of designing pieces to give your kitchen a modern aesthetic, and without compromising on quality or tradition. 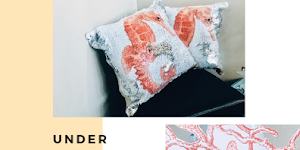 I've included an exclusive curated list of my favourites for you below, so do check them out and visit the entire collection and tell me what is your favourite item? 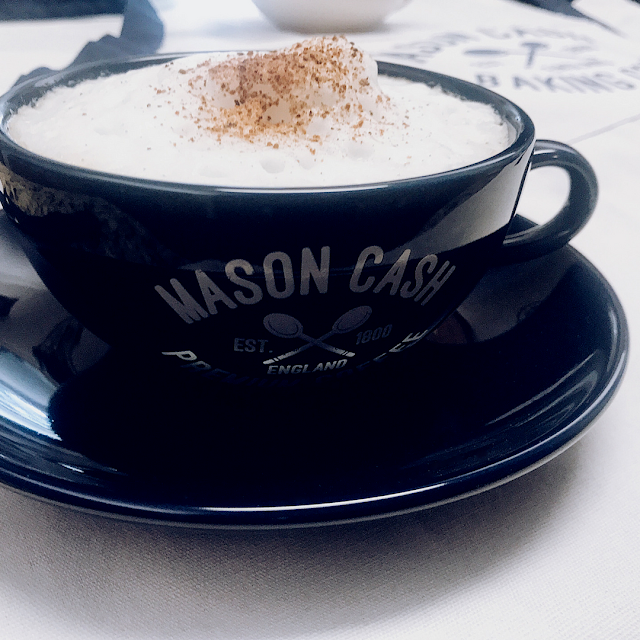 Have you used Mason Cash products? What do you think of this collection? 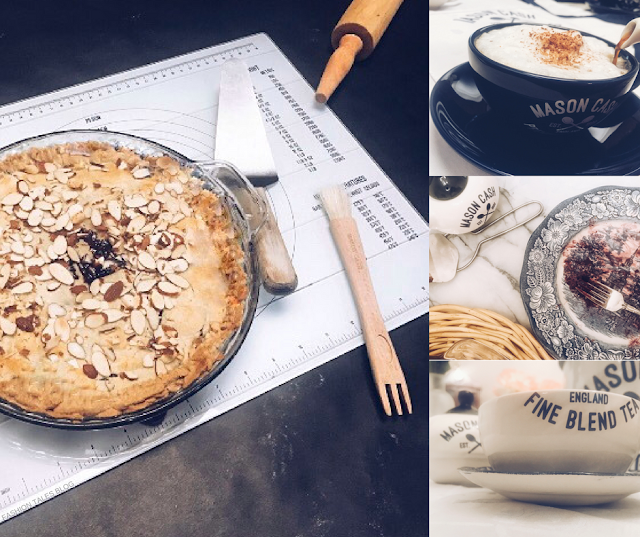 The goods: Varsity Collection: Mixing Bowl Size 12 in Blue, Innovative Pastry brush, Cookie Tin with cutters & apron, Blue Cappuccino and Saucers, Tea for 1 (w/biscuit cutters), and Pastry Board-Provided by Mason Cash. Shop the Varsity Collection. Vintage tablecloth-Lenox-(Buy Similar), English Tea Shop-(Buy it here), Kitchen towels-(Shop), Plates and tea saucer-Liberty Blue china, W&S-Marble cutting board (Buy Similar),Shop the Mason Cash collection here. All opinions are honestly expressed & are my own. 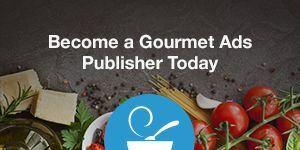 This post contains some affiliate/sponsor links. 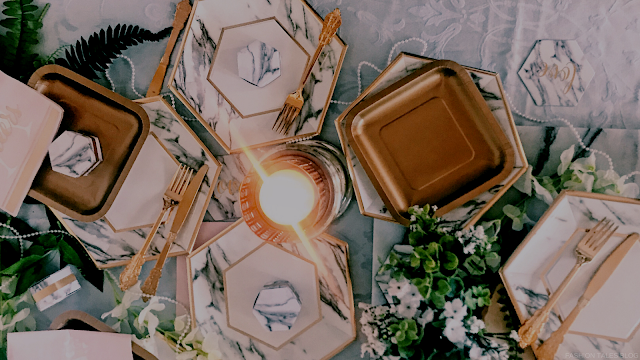 Gorgeous items! Thanks for the intro!